When she was 7-years old, Woodburn High School student April Vasquez was told by her father that she was going to grow up to become the first doctor in the family. 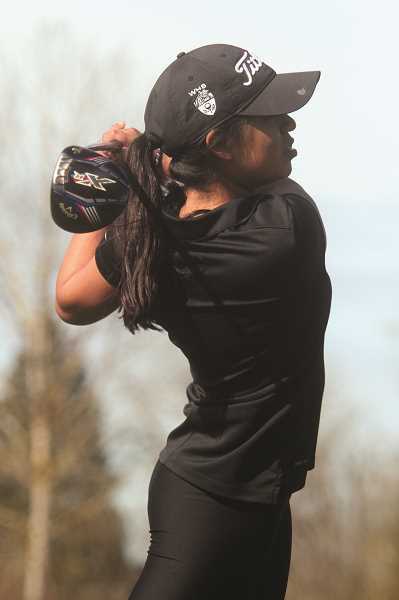 Little did Vasquez and her family know that her path toward higher education and that ultimate goal would begin with the swing of a golf club. Vasquez was one of 11 Oregon high school seniors to be awarded the Chick Evans Scholarship in March, an award that carries an estimated value of $120,000 covering full tuition, along with housing over four years at the University of Oregon. It is the second time in the past three years that a Woodburn High School student has received the Chick Evans Scholarship, which is awarded to outstanding student athletes who demonstrate financial need, outstanding character, excellent academics and a strong record as a golfing caddie. 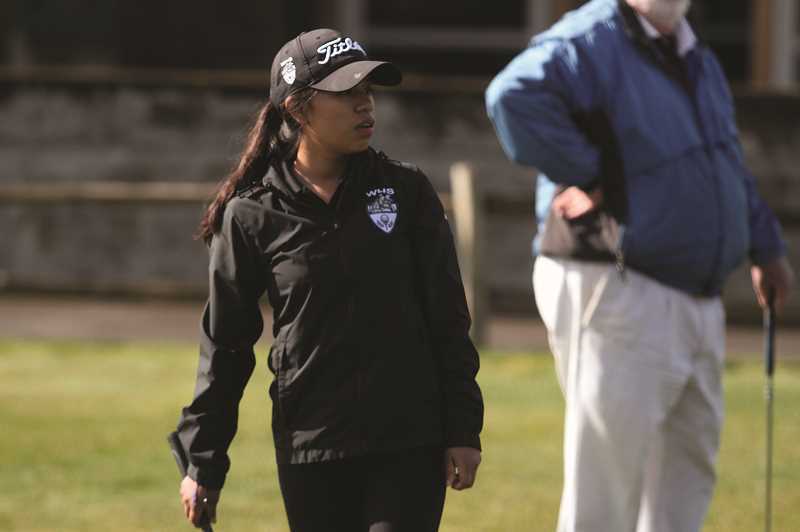 A senior at the Wellness, Business and Sports School (WeBBS), Vasquez was introduced to the scholarship through former WHS golfer Michelle Torres, who became the first Woodburn athlete in school history to win the award in 2017. "At WeBBs we have intramurals where we played sports at the end of the day," Vasquez said. "Every single time I got picked for a team, it was with Michelle in it." At the time, Torres was the No. 1 player on the Woodburn High School golf team and was working toward the Evans Scholarship. She had joined the golf team to pursue the scholarship and helped convince Vasquez to join the team her sophomore year. Vasquez didn't know much about the sport, but her parents had long wanted her to get a college education after graduating high school, and the idea of earning a six-figure scholarship was too good to ignore. "I come from a Hispanic background," said Vasquez, "so golf wasn't really a sport that they knew about — let alone caddying. They didn't even know what that was." But caddying is the most important part of the scholarship. In order to be eligible for the Chick Evans Scholarship, students must caddy a nine-hole loop 25 times each during their junior and senior years. That meant Vasquez would need to not only learn the intricacies of the sport, but the duties and etiquette required to of a caddy. It was a daunting task, but fortunately for Vasquez, Torres was eager to serve as her mentor. "She was the first person I caddied for, because she told me she wanted to teach me so I wouldn't mess up my first loop," Vasquez said. "She taught me everything I needed to know." Vasquez learned basic things like where to stand when somebody is teeing off and to keep track of your golfer's shot, to more advanced concepts like how the color of the flag indicates where on the green the pin is located. "I didn't know that until (Torres) pointed it out," Vasquez said. "She just taught me little things like that." It was a difficult task. In order to log the 25 loops necessary to meet caddying requirements, Vasquez had to work all weekend, every weekend during the golf season. At the same time, she was working five days a week for a research internment in Portland at OHSU. In addition to commitments to academics and athletics, Vasquez had little time to spare. Fortunately, her mom was more than happy to chauffeur Vasquez to Portland and Canby to meet her commitments, sometimes waking her up in the morning to coerce her out of bed to get on the golf course. "My mom was my biggest supporter," Vasquez said. "She drove me to Portland and back every single day. And to Canby. It meant the world to my family." As Vasquez met her requirements, she stayed in contact with Torres, who continued to serve as a mentor. Torres let her know the format of the questions, and did a practice interview with Vasquez, running through a mock version of the interview that Torres had for the scholarship in 2017. And now that Vasquez has the scholarship under her belt, she has the financial backing needed to pursue the doctorate that her father prognosticated more than a decade ago. "I really want to study neuroscience," Vasquez said. She has been studying behavioral neuroscience in her internship at OHSU, which sparked an interest in the field. In addition to her father's encouragement, Vasquez is drawn to the medical field as a result of her family's poor access to medical attention while she was growing up, and seeing how that affected her family and other members of the community who face similar difficulties. "I realized there were many other families like that," Vasquez said. "I want to go to medical school so I can get an MD to help people who don't have the access to that and are living in similar situations to my parents." Furthermore, she'd like to return to the community to help facilitate future students to be able to pursue higher education — not just at state institutions, but at the top schools around the country. "I want to build a program that focuses on students, getting them there and preparing them for what they're going to experience at those type of schools," she said. But first, she's thinking smaller; one student at a time. 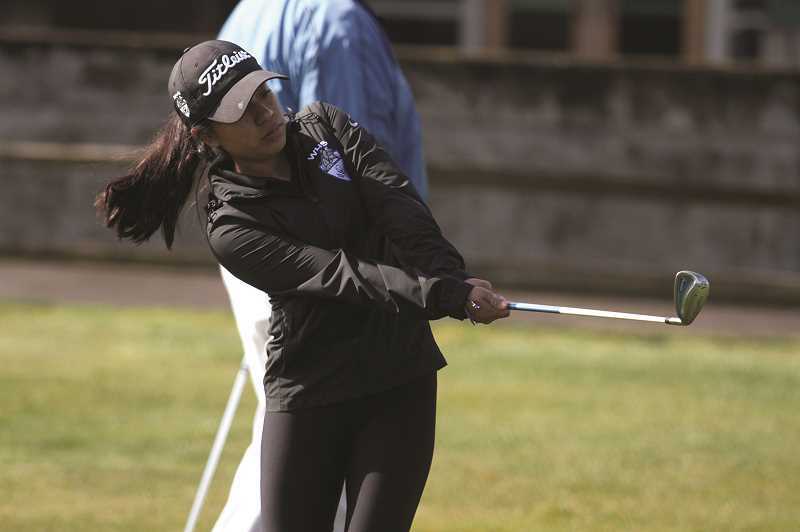 And much like how Torres served as her mentor, Vasquez likewise sees another Woodburn golfer — teammate Elizabeth Lopez — waiting in the wings to carry on the legacy that she and Torres have begun. "She's in the same position I was two years ago and I hope to help her in every shape and form," Vasquez said.